One of the healthiest things you can do is EAT THE RAINBOW! !…and no, I don’t mean grab a handful of Skittles. I mean eat a variety of fruits and vegetables in varying colors. The U.S. Department of Agriculture and the Produce for Better Health Foundation recommend nine servings of fruit and vegetables a day for active women. One serving equals approximately half a cup, so that equates to about 4 and a half cups of fruits and veggies a day. And the more colors you have on that plate the better! If you’re like me, you’re probably thinking to yourself, “NINE servings? ?” Yes, it sounds like a lot, but through just a little bit of planning and some smart food choices you can hit that recommended serving goal easily. 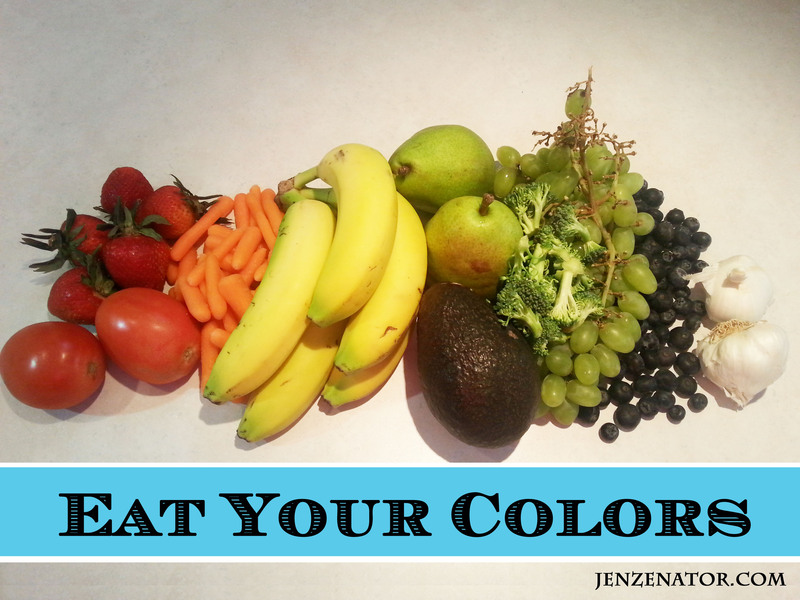 In Part 2 I’ll talk about some easy and fun ways to eat your colors and get in those servings of fruits and veggies. I need to eat more greens for sure.